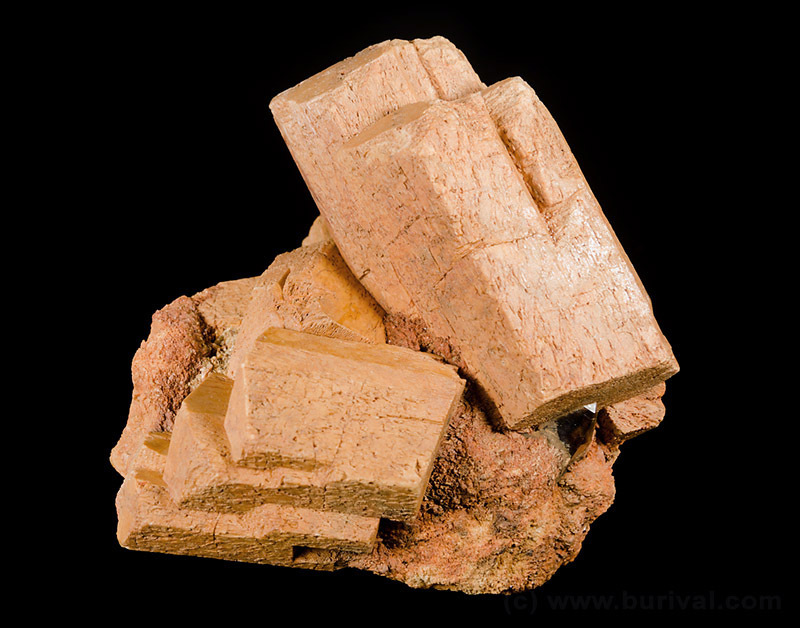 Clinoptilolite-(K) from Hončova hůrka, Czech Republic. Vintage Zeiss 35/2.4 and M42 extension tubes. FOV 30 x 20 mm. 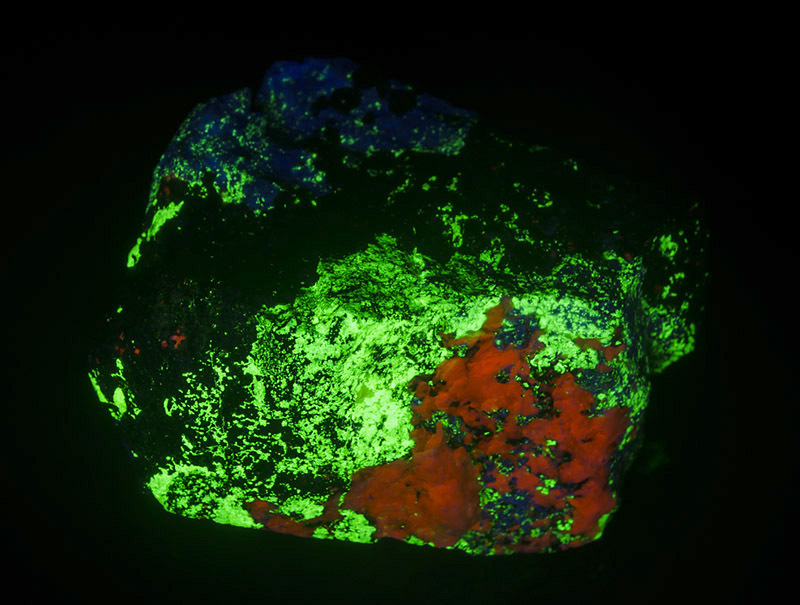 Willemite (green), calcite (orange) and hardystonite (deep blue) from Franklin, New Jersey, USA in short wave UV light. Petr Gadas collection, size 9 x 6 cm. 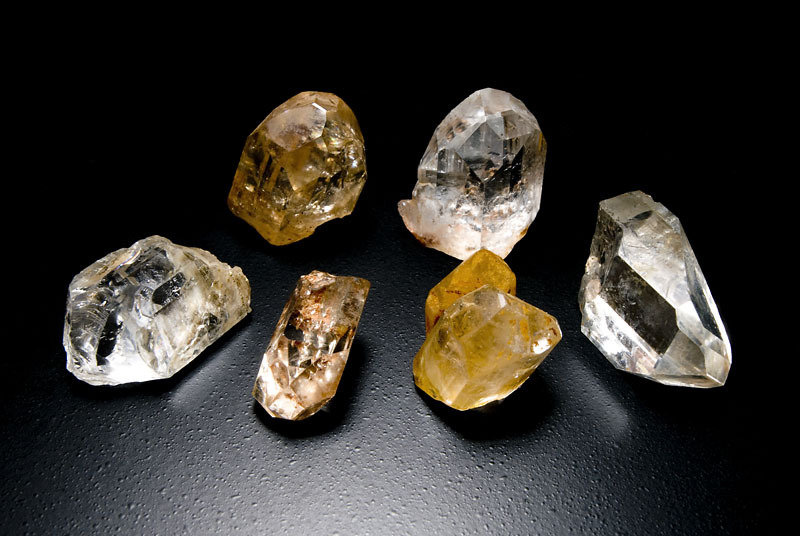 Various topaz crystals from Gorkhi massif, Mongolia. Made with external flash on computer case background. Jindřich Kýnický collection, size of crystals 2-4 cm. 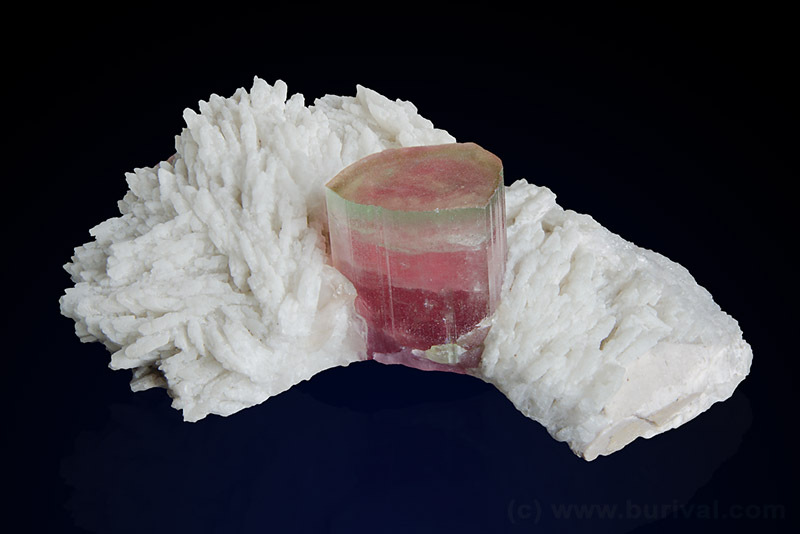 Tourmaline on albite, Paprok, Afghanistan. 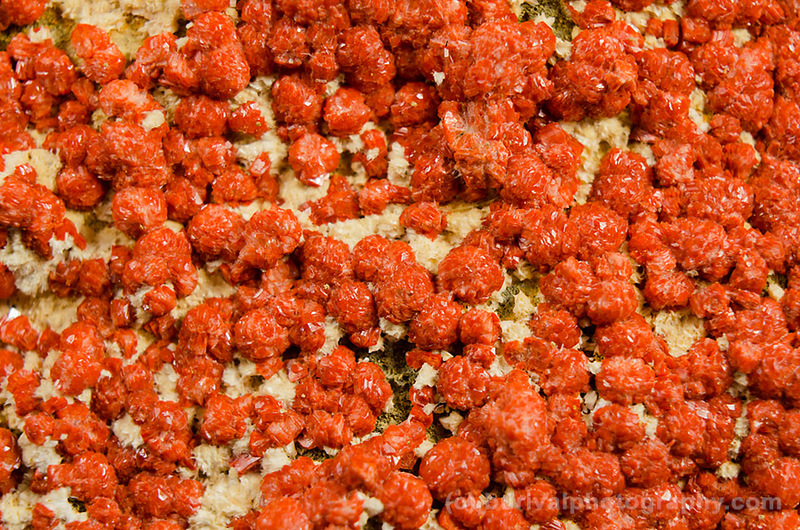 Stacked image to get better DOF, background replaced in Photoshop. Martin Grüll collection, tourmaline size 3.5 cm. 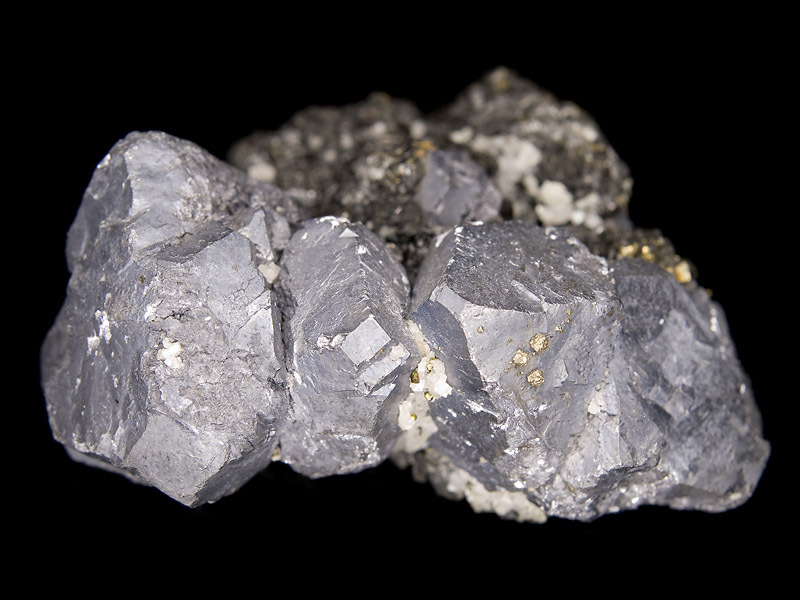 Galena with minor chalcopyrite, sphalerite and calcite from Viburnum, Missouri, USA. Made with ringflash on black glass background. Size 7 x 4 cm. 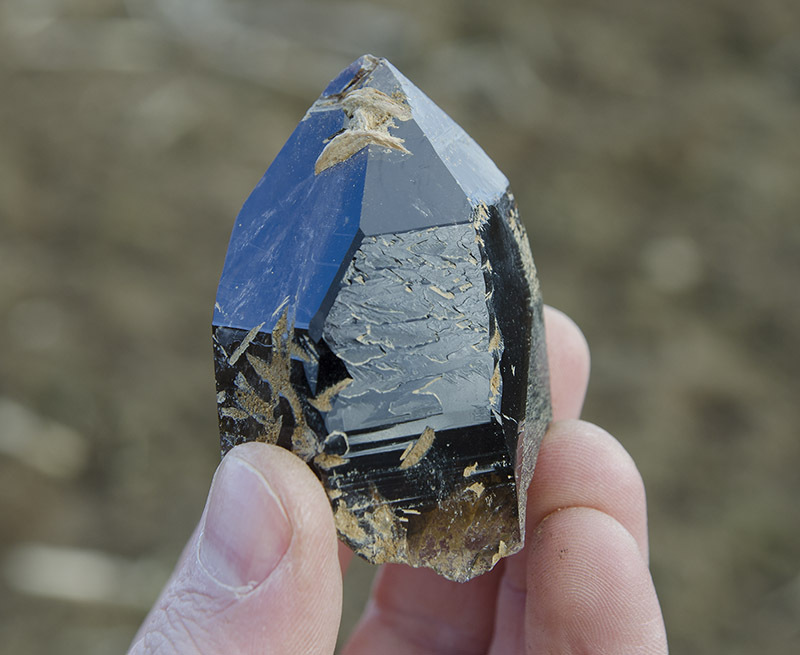 Smoky quartz gwindel from Uri, Switzerland. Photoshop made background. Martin Grüll collection, size 8 x 8 cm. 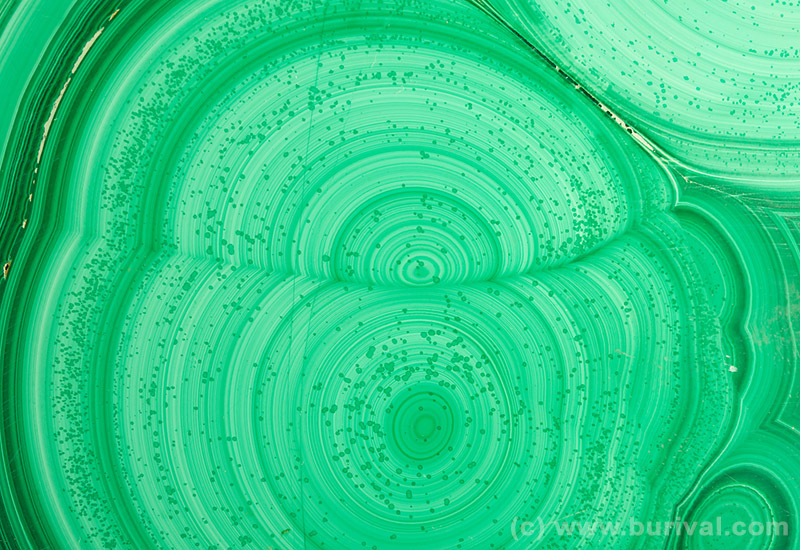 Detail of Malachite texture from Katanga, Congo. Ivo Halíček collection, size 10 x 6.5 cm. Microcline on albite from Gorkhi massif, Mongolia. Two lamps and black glass background setup. Size 8 x 8 cm. 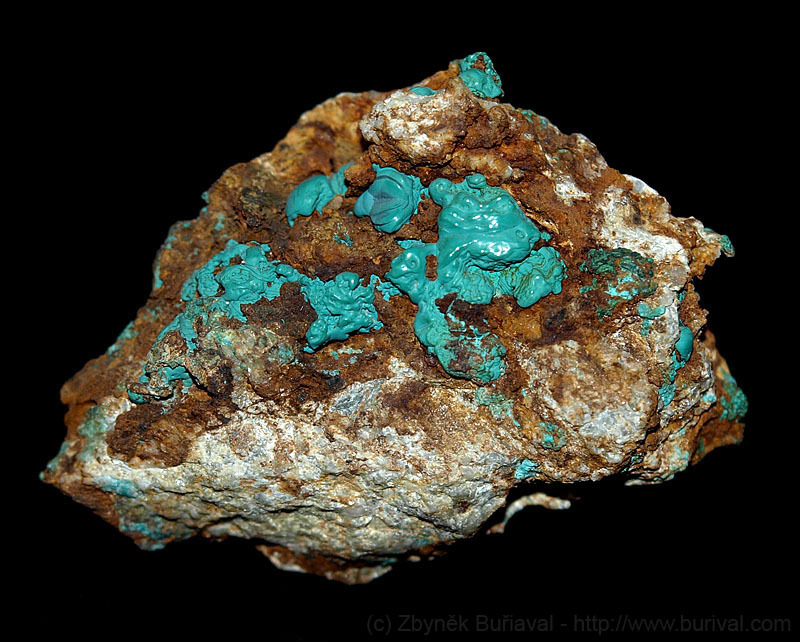 Pseudomalachite from Ľubietová, Slovakia. 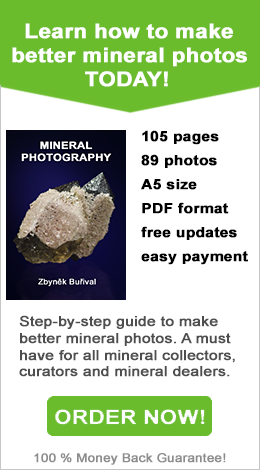 Made with ringflash on black glass background. Size 8 x 5.5 cm. 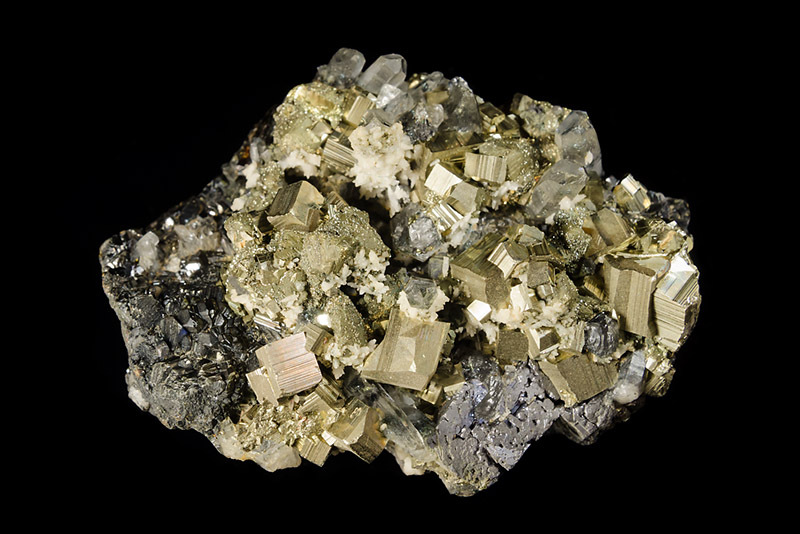 Pyrite with quartz, galena and sphalerite from Banská Štiavnica, Slovakia. Two lamps and black glass background setup. Ivo Halíček collection, size 8 x 6 cm. 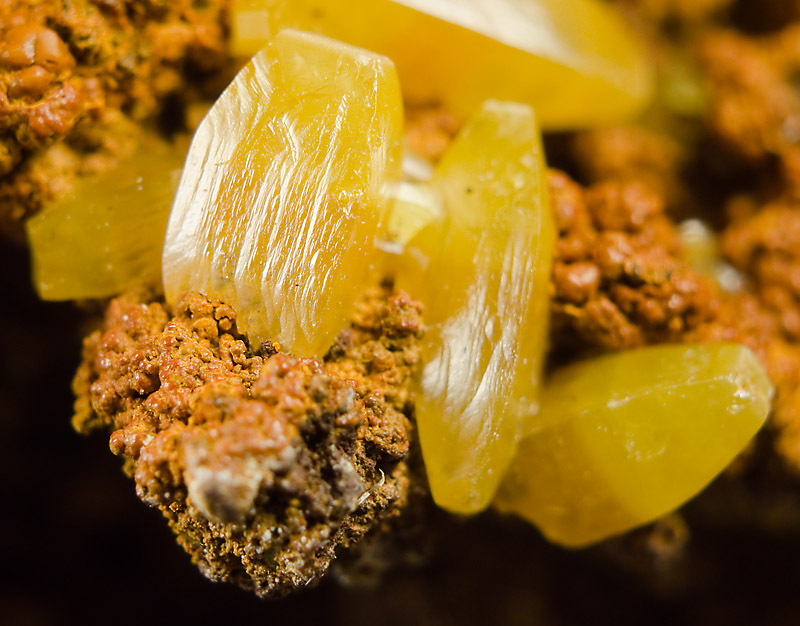 Wulfenite from Mina Ojuela, Durango, Mexico. Made with vintage Zeiss 35/2.4 and M42 extension tubes. Size 10 x 7 mm. 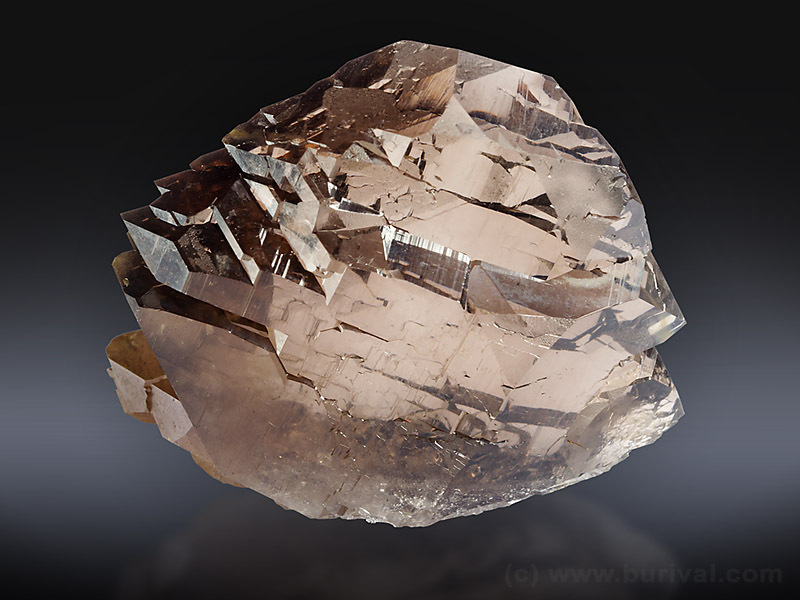 Smoky quartz from Bobrůvka, Czech Republic. Sometimes on-site pictures provide much more interesting photos then hi-tech studio setups. Ladislav Brychta collection, size 5 x 7 cm.